Is it possible to create a subscription that has someone pay for two products: that is a single link that can send someone to make a PayPal order for Product A and Product B? 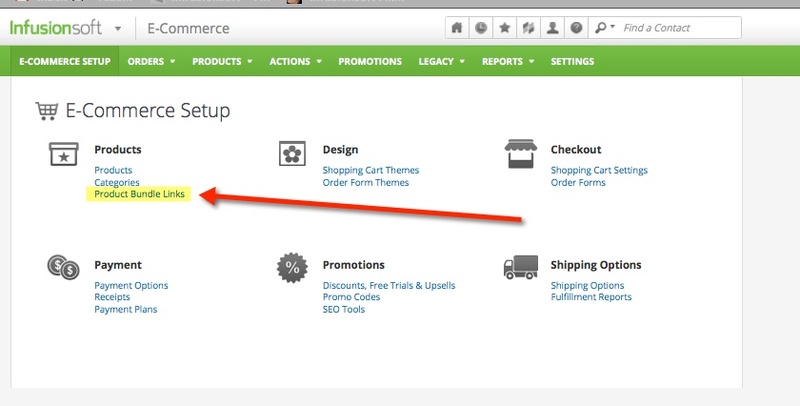 In Infusionsoft go to Ecommerce > Products > Product Bundle Links and add Product A and Product B to the bundle. 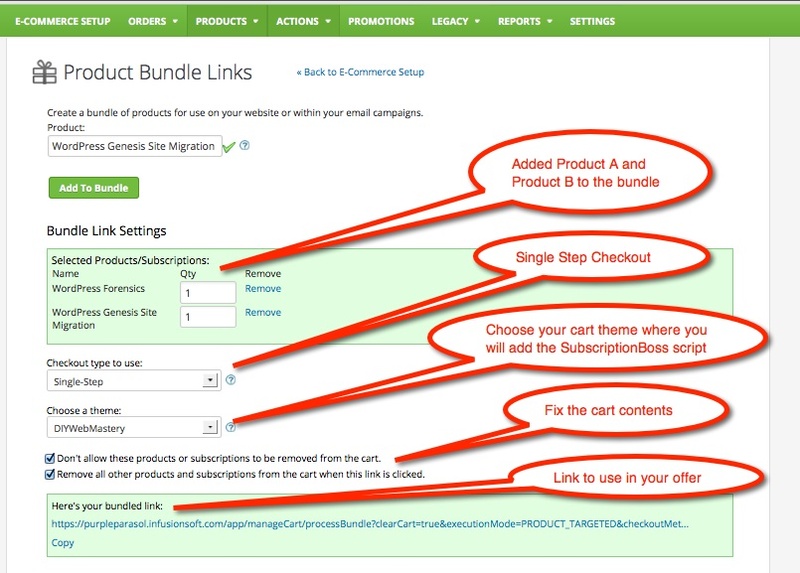 Set the checkout mode to single step and choose a cart theme and fix the cart contents so the user cannot change them by clicking the two checkboxes. You can then copy the link to your sales page or sales email. You may want to use a URL shortener. Note that Infusionsoft does not save these links so don’t waste time looking for them after you leave the page! In SB put product A in the initial charges section and Product B in the recurring charges section but with 1 billing cycle. In the example below we have bundled two consultancy services for a client whose WordPress site had been hacked and had their existing theme trashed however the post content remained intact. Product B is a WordPress Setup service to make a WordPress site more secure through .htaccess changes, security plugin installation and configuration and strengthening of cPanel, database, and WordPress usernames and password and switching to a Genesis child theme and configuring the relevant Genesis plugins and widgets.